May we take this opportunity to welcome you and your family to the Radiotherapy Department. 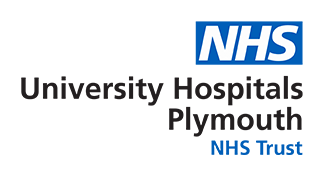 The Radiotherapy Department is located within the Plymouth Oncology Centre on level 2 of Derriford Hospital. The department routinely operates from 08:15-17:30 and is backed up with an on-call service at weekends (09:00-17:00). You may park in any of the patient car parks but the nearest is Car Park C and there is disabled parking available outside the department entrance. If you bring your yellow chip from the car park in and give it to a member of the reception team, they will ensure you will not be charged more than £1.50 for your radiotherapy visit. The team consists of oncologists, therapeutic radiographers, radiotherapy physicists, dosimetrists, radiotherapy helpers, admin assistants, dieticians, speech and language therapists and nurse specialists. Admin staff are available 09:00 to 17:00 Monday-Friday. For appointment and general enquires, please call 01752 431338 and for transport enquires please call 01752 431870. Consultant Clinical Oncologists are responsible for prescribing and overseeing your course of radiotherapy. They supervise a team of doctors which include specialist registrars. Therapeutic Radiographers will treat you and can provide you with support, advice and information throughout the course of your treatment. They also liaise with other healthcare professionals. Radiotherapy students work in the department alongside the radiographers, under supervision at all times.